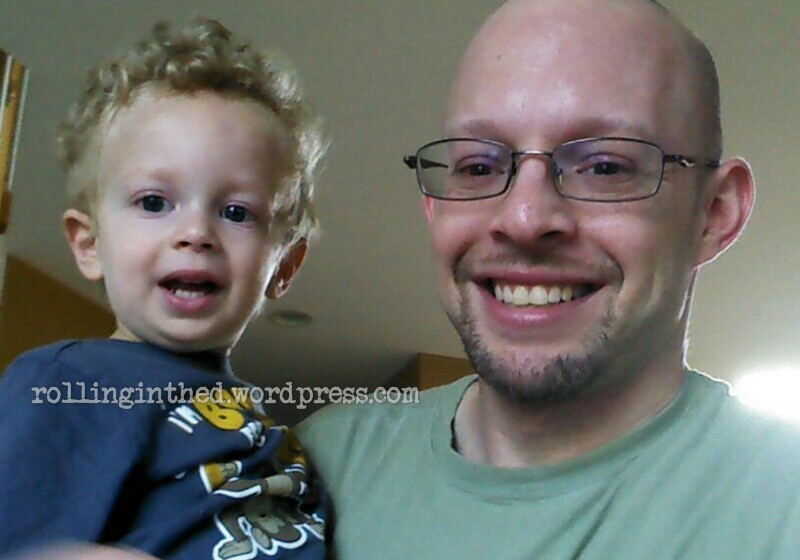 My youngest son — for the purposes of this blog I’ll call him Z — is obsessed with numbers. On Saturday night, he had a ball pressing the numbers on my phone’s calculator app. It kept him entertained for hours. He’d touch the digits and laugh as I recite what he just pressed. He was hysterical when he tapped, and I said, “parentheses”. When I test my blood sugar, he likes to look at the digits displayed on my meter. On Sunday night, I felt my pump vibrate at my hip and glanced at the “LOW PREDICTED” warning. Suddenly, Z demands “Me want see numbah!”. (“Me want” is cute the first twenty times, but then it gets really old, really fast). My CGM read 92 with a downward arrow, I showed it to him, and he said “Elve”, which is his way of saying twelve. (Every two-digit number, to him, is in the teens – or in this case, pre-teens). He also said a few other digits, which I could only assume were the time. Given his interest, I decided to show him how I set my temporary basal. I had him read the initial percentage, “un unded” (one hundred) and he watched as I scrolled down to the final setting, “ewo” (zero). This whole event was, in my mind, meant as a lesson in numbers and nothing else. But seeing him recognize that daddy has these devices and that he responds to the numbers they tell him, is planting a seed for him to develop a real understanding and appreciation for what it takes to live with diabetes. I’m still hoping he never has to deal with diabetes himself. But if he does, I think he’ll do okay. Posted on October 14, 2013, in Diabetes, Personal. Bookmark the permalink. 4 Comments. But she has to see “DEX!” every night before she goes to sleep and to make sure that it’s not red. She knows that’s not good and asks if I’m sick… While I’m glad she recognizes the red and the noises and “Mommy, want juice?”, it still makes me sad. So adorable!! I think hearing him read wildly out of range numbers to me would make them feel less icky because I’d have something to smile about.